I found out recently that M'aidez has been selected to play at several film festivals. I am thrilled that it will get to be seen by a larger audience and am curious/terrified how it will look on the big screen. It will play the Reel East Film Festival this Friday, August 22nd at 6pm. I plan on attending this one and am looking forward to the experience. The Montreal Stop Motion Film Festival, which runs September 26th, 27th, and 28th. No word on a specific time for that one yet. 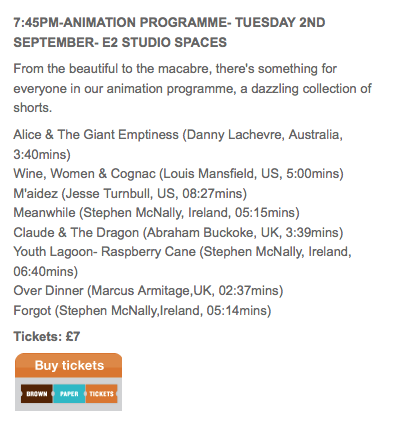 And The Smalls Festival in London September 1st-5th. No time for that one yet either.